The garden surrounding the Dyckman Farmhouse is a wonderful retreat from the bustle of Broadway. Although we no longer have the extensive acreage of the original farm, there is a garden of just under 1/2 acre. 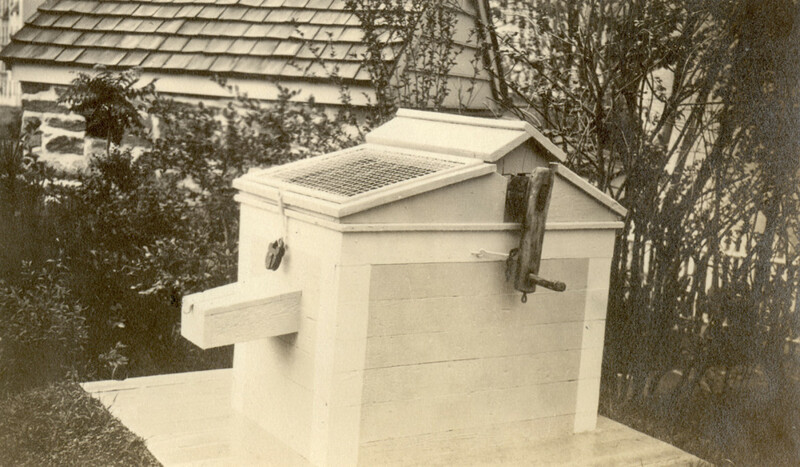 The garden includes a small reproduction smokehouse built as part of the 1916 restoration, a well and a Military Hut. In the early 1900’s, Reginald Pelham Bolton, a historian and amateur archaeologist, uncovered the remains of more than sixty huts used as shelter by British and Hessian soldiers during the Revolutionary War. 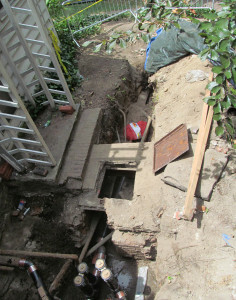 Bolton documented his discovery and then in 1916 he excavated a chimney, walls and floor and reconstructed them as a full hut within the park of the Dyckman Farmhouse. The hut has become affectionately known as the Hessian Hut. It sits in the midst of a formal garden, a feature of the 1916 landscape. The formal garden edging and paths were restored in 2007 thanks to the work of the New York City Department of Parks & Recreation and the Historic House Trust. Work continues throughout the site to plant bulbs, flowers and shrubs sympathetic to the 1916 era of the garden. 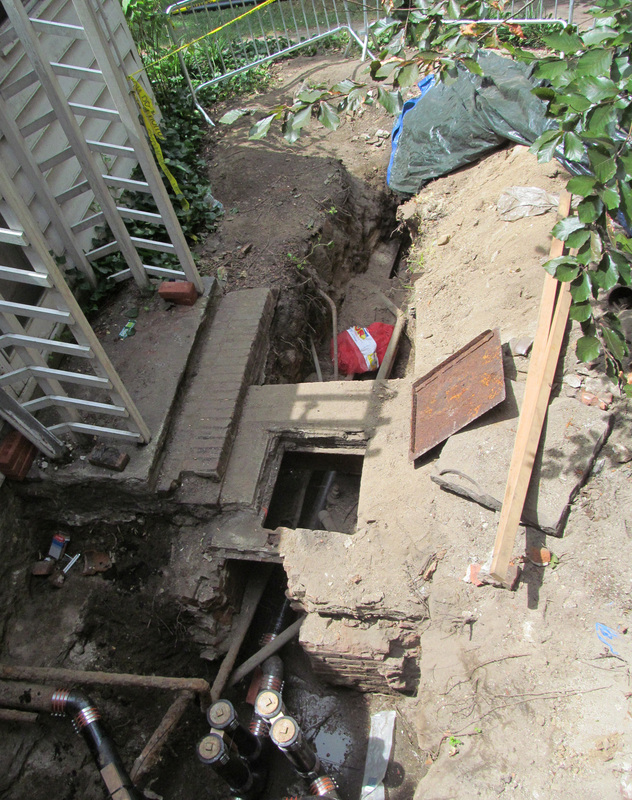 In the summer of 2013, the garden surrounding our Summer Kitchen was impacted as part of a very necessary sewer pipe replacement project. We are happy to now have a working sewer line but it did mean removal of shrubs, trees, bulbs, perennials and groundcover from the area. Now that the sewer work is almost done planning and fundraising has begin to bring plants back to this once lovely corner of our garden. Donate funds towards plant purchases or contact us to find out how you can volunteer! Every fall volunteers plant several hundred daffodils in our ivy field. Contact us if you are interested in assisting this fall! THANK YOU DONORS FOR MAKING THE GARDEN BEAUTIFUL!